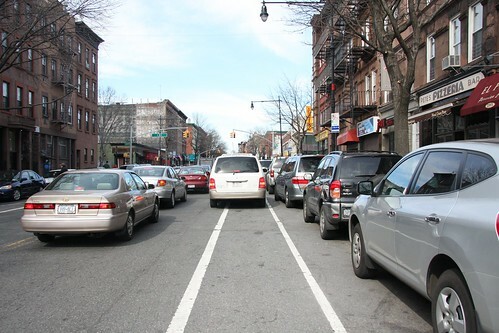 What is a Class II Bike Lane? 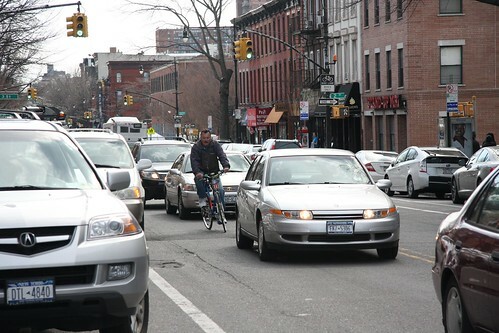 I promise you, there’s a Class II, painted bike lane in the foreground of this picture. Here’s the scene from behind. Would you want your kid riding in this alone?